A new James Rosenquist exhibition is as enigmatic and bold as the artist. James Rosenquist: His American Life will run at Acquavella Galleries until December 7th. James Rosenquist, who died last year at the age of 83, was a pop-art prince. "There is nothing tight-minded about his painting," says Philippe de Montebello. The former head of the Metropolitan Museum of Art is now a director at New York's Acquavella Galleries, where James Rosenquist: His American Life is running until December 7. 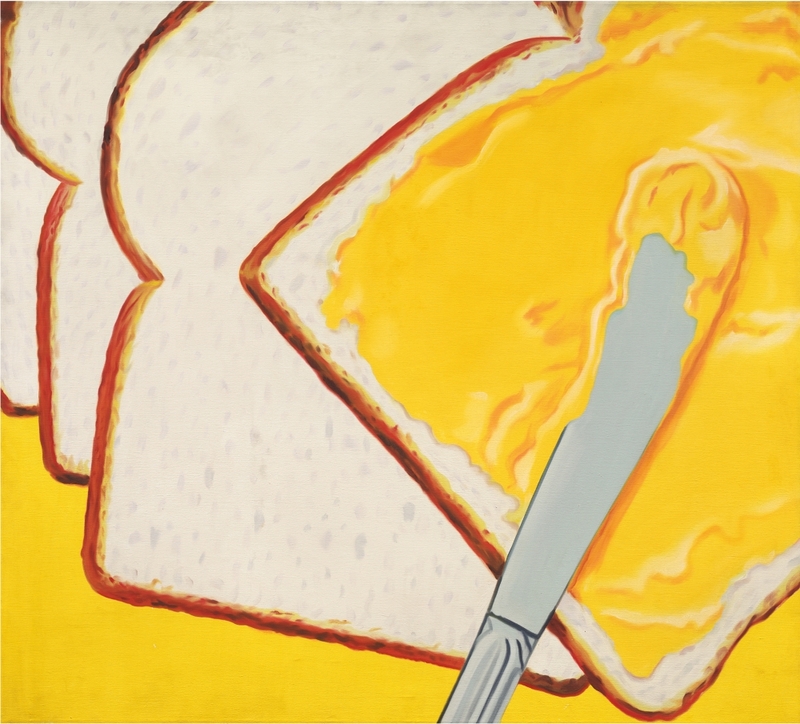 Show curator Judith Goldman has chosen 18 works including the 1964 painting White Bread (above), that she says capture "the poetry of Rosenquist's vision and his enigmatic quality." Most of the pieces on view, which range in date from the early 1960s to the early 1980s, are large in scale. 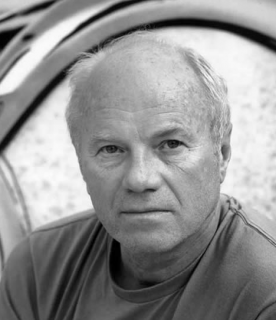 Rosenquist hones his skills working as a billboard painter around Times Square and took images from advertising and mass media to create works of surprising narrative depth. "I don't do anecdotes," Rosenquist once said. "I accumulate experiences." The 1961 work The Light That Won't Fail I, for instance, points to the repetitiveness of the daily routing by featuring three quotidian images, including a comb that evokes the bars of a prison. Some of his paintings remain rather more difficult to parse. "You can enjoy Rosenquist without understanding the message, because he's a real painter," de Montebello says. "His technique distinguishes him from many of the other painters who came along in the 1960s with its directness and enormous power." Goldman, who wrote an essay for the exhibition catalog, believes that Rosenquist's reputation has become overly associated with the 86-foot-long F-111 painting he did about the Vietnam War and American consumerism. "People forget to look at the pictures, and his very enigmatic vision got lost," she says. "His work is about his experiences, and I suppose that's what this exhibition is trying to show: the feelings behind the paintings and the experiences that led to these feelings."